We welcome another blessed Islamic New Year. 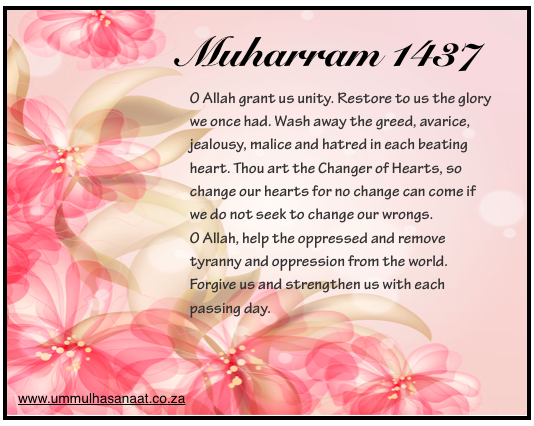 It is the eve of Muharram 1437 AH here in South Africa coinciding with the gregorian date 14 October 2015. We have sighted the moon and recited the du‘a when seeing the new moon. Allah’s words: “… so wrong not yourselves therein … ” mean do not wrong yourselves in these sacred months, because sin in these months is worse than in other months. 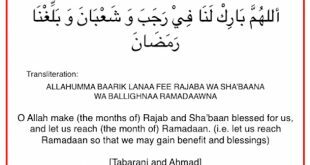 It was reported that Ibn ‘Abbas (RadhiyAllahu ‘Anhumaa) said that this phrase referred to all the months, then these four were singled out and made sacred, so that sin in these months is more serious and good deeds bring a greater reward. Qataadah said concerning this phrase that wrongdoing during the sacred months is more serious and more sinful that wrongdoing at any other time. Wrongdoing at any time is a serious matter, but Allah gives more weight to whichever of His commands He will. Allah has chosen certain ones of His creation. He has chosen from among the angels Messengers and from among mankind Messengers. He chose from among speech the remembrance of Him (dhikr). He chose from among the earth the mosques, from among the months Ramadaan and the sacred months, from among the days Friday and from among the nights Laylat al-Qadr, so venerate that which Allah has told us to venerate. People of understanding and wisdom venerate the things that Allah has told us to venerate. Abu Hurayrah (RadiyAllaahu ‘Anhu) narrated that Rasoolullaah (Sallallaahu ‘Alayhi wa Sallam) said, “The best fasting after Ramadhan is fasting Allah’s month of Muharram.” [ Muslim, 1982] The phrase “Allah’s month”, connecting the name of the month to the name of Allah in a genitive grammatical structure, signifies the importance of the month. 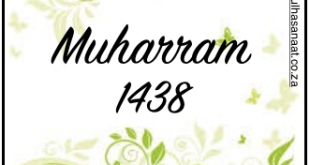 Although the fasts of the month of Muharram are not obligatory, yet, the one who fasts in these days out of his own will and choice is entitled to a great reward by Allah. 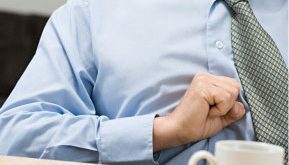 The Hadeeth does not mean that the reward promised for fasts of Muharram can be achieved only by fasting for the whole month. On the contrary, each fast during this month has merit. Although the month of Muharram is a sanctified month as a whole, yet, the 10th day of Muharram (‘Aashooraa’) is the most sacred among all its days. It is sunnah to fast the 9th with 10th or the 10th with the 11th Muharram, although preference is given to fasting the 9th and 10th Muharram. There is so much happening in the world currently. Everywhere one looks there is oppression. Innocent people slaughtered in the hundreds of thousands many of whom are children. The plight of the people of Palestine, Syria, Iraq, Yemen, Rohingya (Burma) and many many others is a tragic one. Daily people are fearing and running for their lives. Morality is no more. Humanity is questionable. Where is the unity of the ummah? O Allah grant us unity as an Ummah. Restore to us the glory we once had. Fill our hearts with love for Thee, Thy Rasool, for each other, but most of all, fill our hearts with mercy O the Most Merciful of those who show mercy. Wash away the greed, avarice, jealousy, malice and hatred in each beating heart. Thou art the Changer of Hearts, so change our hearts for no change can come if we do not seek to change our wrongs. O Allah, help the oppressed and remove tyranny and oppression from the world. Forgive us and strengthen us with each passing day with (the quality of) ‘aafiyah. Protect us from all harms and guide us every step of the way so we may all be reunited in Paradise!